I am in love…let me introduce you to Yonex’s new flagship racquet, Voltric 80. This racquet was launched at 2011 All England Badminton Championships, where it proved to be a real winner on court through Mens Singles Winner Lee Chong Wei, and Mens Doubles Winner Mathias Boe (his partner used VT70). In my review of VT70 I raved about the new technology and design and said that Yonex had really got it right with this series of racquets. In my opinion, somehow Yonex have managed to go one better with VT80 as it’s got a lot more to give. The Voltric arrived in a full length bag, which is now standard for the Voltric range. Yonex have continued to improve on the graphics and this racquet is very striking in red, black, white and gold. It’s looks so much better than VT70. This particular model is only available in 3U (weight 84-89g) in UK, and grip size G4 which is the smaller of the grip sizes usually on offer in UK. This is a remarkable racquet in terms of what it’s meant to do. In essence, Yonex have combined the aerodynamic qualities of a Z Slash with the thin frame of a Nanospeed 9900 (not as thin as VT70, although the shaft is the slimmest in Yonex range) and given the racquet the head weight of an Armortec. Ingenious. We already know the technology works from my review of VT70, so how much better can this racquet be? Balance wise, this is a head heavy racquet, but certainly not as heavy as AT700. I’d say this is very close to the weight on Armortec 900 Power which is therefore why Lee Chong Wei likes the racquet. This racquet has a thin but stiff shaft which appears to be slightly longer than conventional racquets by around 1cm, which is very similar to Z Slash. This should therefore have a broader appeal to players especially fans of Armortec 900 who are looking for more from their racquet. The frame is certainly thin although I’d say it’s an even size rather than the super thin with bulges we witnessed on Voltric 70. Yet again, the weight is at the top of the head. This racquet also has the sound filters although to my mind they don’t add anything to your performance. Maximum recommended tension on this racquet is 27lbs. This is certainly going to appeal more to the players who like higher tensions and have been disappointed with previous offerings from Yonex. No doubt the pros had their Voltric 80’s strung much tighter at All Englands, but there again, they do not have warranty issues to consider. The string tension on this racquet feels OK at around 18-20lbs which is more than adequate for many league players. I do tend to like my racquets strung tighter but readers of my reviews know that I also like to test racquets “straight out of the bag.” As you can imagine, I’m looking forward to testing this racquet again with a higher tension. As readers to my blog will know, I have a great affinity with Yonex Armortec 900 Power. With this in mind, I was looking forward to testing Voltric 80 and comparing it to AT900 P and Z Slash. I’m not too keen on G4 grip sizes so I had to build the grip prior to playing. I know this changed the balance a little, but it had to be done. Despite the slightly spongy feel due to the lower tension from factory stringing, I’ve got to say WOW! In the power department, clears were effortless. There were no shaky frame shots I’d experienced with Z Slash. Every shot was timed well and it felt beautiful. I really love the feel of the head on Voltric 80. Yes, it’s got some weight, but it just made everything I hit easier – except the shuttle I lost in the light and missed completely (ahem – my excuse). What surprised me most was the power from my smash. I can honestly say I hit the shuttle consistently harder than I have ever done before. I hit bazookas I haven’t hit in years. This delivered the power of the Z Slash, without the inconsistency – I’m now ecstatic! This is so much better than AT900P, by a long way. I never thought I’d be saying that. Voltric range has been badged as the range to replace the very popular Armortec range. Fear not Armortec lovers, this is not a replacement – it’s a massive improvement. So, we know this racquet packs a huge consistent wallop in the power department. Let’s take a look at its defensive capabilities. I had Mark smash a few shuttles at me and he can hit hard. Defensively this racquet delivered every time and reminded me of the speed of my Nano 9900 although I could still feel the weight in the head. However, it wasn’t off-putting and gave me more meat in the racquet head to return the shuttle. It was easy to manoeuvre due to the air resistance qualities of the frame, and I didn’t notice any particular drag issues that head heavy racquets tend to deliver. I do like the feel of that weight in the head. As I said in my review of Voltric 70, it means you have a better appreciation where the racquet head is travelling to. Despite the weight in the head, the aero dynamic qualities of the frame meant that there was only a minor loss of speed around the net. However, this is understandable as a head light racquet will always travel faster. Overall, around the net Voltric 80 was outstanding – enough said. If you read this far, you can tell I like this racquet. I’ll go beyond this and say that the Yonex Voltric 80 Badminton Racquet is, without doubt, the most outstanding racquet I have ever used in my 34 years in badminton! It’s got everything, supreme power, great handling, super-fast in defence and looks and feels great. With an RRP of £190, this is probably the most expensive racquet in Yonex range. This will immediately put a lot of players off, which is fair enough in the current climate. In addition to that, a clash of racquets could shatter the frame, so it’s potentially a higher risk than lesser priced racquets. In some respects you could buy three racquets for the market price of Voltric 80, which I suspect will be around £165-170 when the online discounters sell it. Whenever I score a racquet, you know that I deduct half a star for the premium priced racquets. However, this time, I’m not. This racquet is so good, and the most exceptional racquet I’ve ever played with, I’m going to give it a full 5 star rating. I doubt I’ll ever do this again. For me Voltric 80 is considerably better than AT900P, Z Slash and Nano 9900. It’s all of those combined into one and taking the standard up another level. Ladies and gentlemen, I have just found and reviewed the Holy Grail of racquets. Thank you Yonex for giving us Voltric 80! 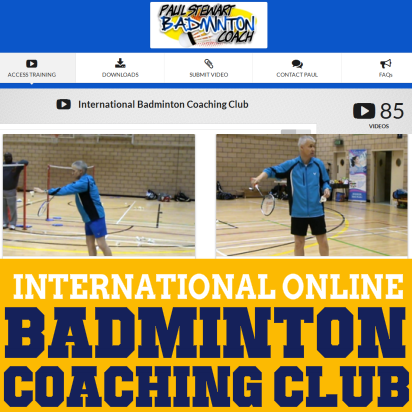 To receive regular badminton help, advice and tips from me click here to subscribe to my mailing list. To me that’s the wrong question. Yonex are selling off the original Z Force because of the launch of the ZFII. The question you should be asking is which racket do you believe you can play best with? Will it be the heavier headed, stiffer Z Force or VT80? I can’t answer that question – only you can. So, when you answer this question you’ll know which racket is worth having, regardless of price. If you’re still not sure then don’t buy. Test a friend’s racket before making the final choice. Great reviews about VT80. 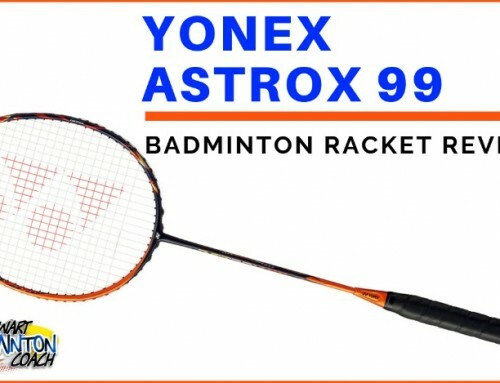 Am planning to buy a new racket so, is VT80 outdated or not? Someone used to say LiNing goes far ahead of Yonex… What is your opinion about this? There is a lot of confusion regarding specs on Li Ning rackets. I wish they would solve this. They make good rackets but i haven’t play tested and reviewed one yet which I thought was exceptional. VT80 is still used by many pro players because it’s such a good racket. Whilst I’m no longer with Yonex, I’ll still give credit where it’s due. I can’t see Yonex withdrawing this racket for some time unless there is a major upgrade. And that is possible after the emergence of Z Force II. That is why Boe often end up with alot of broken string rackets, but anyways, thank you for you advices, and I will absolutely listen to you and won’t make such jumps in tension. Thanks for the pictures. Minor damage from what i can see but enough to consider my original assessment is correct. Take the tension up in small increments so you continue to notice the difference but not too much that you lose the overall feel and control you already have. Do you think that 31 lbs for Voltric 80 is suitable? And will the raquet “survive” in such tension, when it got about five really small paint chips gone from very small clashes? 31lbs is way outside Yonex warranty. That said many of the top players string their rackets at this tension, some higher. Boe and Mogensen string around 36lbs and Boe is known for playing with VT80. Given the number of chips on your frame, it’s certainly not at its best and strongest. This would give me cause for concern. Without knowing your current tension and given the described condition of your VT80 I would say this could be a high risk re-string. However, best check with your stringer who can assess the frame and make a decision whether they would string the racket at this tension or not. Personally, I would be cautious recognising it is higher risk. My current tension of the racket is about 26,5 lbs, and the chips that went off the frame are so small, that you won’t even notice them, I can provide you some pictures of my racket if you want to see my current condition of my racket? And one more thing, If Boe string his VT80 at 36 lbs, then 31 lbs won’t be any problems at all even if it is way outside of Yonex warranty? I would never make such a jump in tension. From 26.5 the maximum I would go is 28lbs. I don’t believe that huge hikes are tension are beneficial to a player. Gradual increases are always better to let you make any adjustments. You may find there’s too much vibration at 28lbs but at least with the string stretch it will soon be playing at 26lbs again. There’s no data to confirm whether Boe received custom rackets which could have been strengthened to withstand the high tensions rather than a standard model. So it’s best to think smart here rather than go for it. Thanks paul for ur reply..
It’s a tough decesion to make but only you can make it. You already know how VT70 performs so do you take the chance knowing you can always sell VT80 if it doesn’t suit you. Or, do you play safe. However, there will always be the little niggle of doubt in your mind what VT80 would play like and whether it would be better. 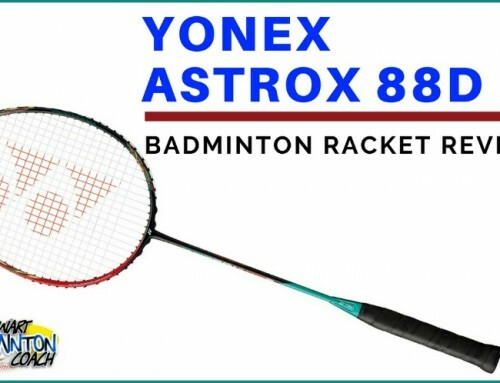 I already have Arcsaber 8DX & Voltric 70 & i found that Voltric 70 is the best racket & much better suit with play style while 8DX quite stiff for me..After review ur interesting comments about VT80, i plan to buy new VT80 as my weapon for 2014. U think the stiff of VT80 is the same like Arc8DX?im prefer medium flex & specs like VT70.. If you have already discovered VT70 is the best racket for you, why would you look to change again? VT80 is considerably heavier in the head and stiffer than VT70 so you are taking on a different weight and feel again. Whilst VT80 isn’t as stiff as 8DX, I would suggest you try VT80 before you take the plunge and buy. Thanks Paul for you quick reply. From you reply, it looks like if I can build decent arm strength with your Armchair exercises, I should be good with VT80 for doubles. I think I buy VT80 and work on my strength and technique. Thanks again for your advice. Cheers. Im very impressed with your reviews & techniques. I would like a small clarification regarding Yonex VT80. Im an intermediate club player mostly playing attacking doubles, mostly the rear court. Im an aggresive player. Im currently using the good ol MP99. Been using it for past four years. I would like to get a new racket and having an eye on VT80. Your review has instigated me to consider VT80. I would like to know in general, if VT80 can be used for doubles. I found forums saying it is impossible to use VT80 for doubles. Will weight training and adding additional grip to racket improve using VT80 for doubles. Please advice me. I have no idea why forums are saying VT80 isn’t a doubles racket. I know more international players using VT80 than any other racket – so what does this tell you? If you are unsure whether you will be able to play with this racket, VT80 isn’t as stiff as MP99. I’m can’t remember weight specs of MP99 to compare to VT80. Aside from that, follow my armchair exercise videos and you should be fine with VT80. Good luck and please let me know what you decide. I have put a reply on your Voltric 5 review and you told me I should find a coach to train. I have been coached for 3 monthes and my bad techniques are starting to ease off, I am now thinking of buying a top range racket instead of a mid range racket. The problem is, the seller is not very well known and says the racket is ‘FROM CHINA’, which made me suspicious because I thought top range rackets are made in Japan. There are 5 feedbacks from buyers and nobody mentioned it is a fake and one said he thinks it is real, and most feedbacks were positive. 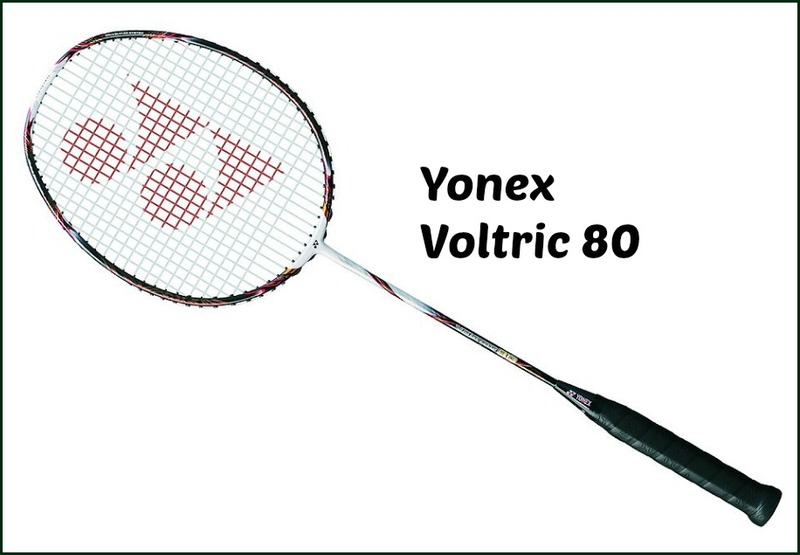 I would love to buy and use Voltric 80 as many of my friends said it is a good racket and recommends me to use it. Do you think the offer is genuine? Should I buy the racket from there? There is no nearby sports stores which sells yonex rackets so unfortunately I have to buy a racket online. I am very surprised to find such an offer. If this is a UK seller then what they are doing is bordering on illegal – ie shipping in rackets from abroad, not paying tax on them and then selling out to players like you. I would avoid at all costs because these businesses can be closed down at any time and you could lose your money. Aside from that, buying encourages more businesses like these and they are not good for the game. I think you need to be careful about upgrading too soon. Ask your coach what he thinks because it’s more important to work on your technique. In my opinion players change rackets too often and without reason hoping the next one will improve their game. The truth is coaching will do more to improve a player compared to a racket. I just want to share my experience using VT80 and before that, a little bit info about myself. 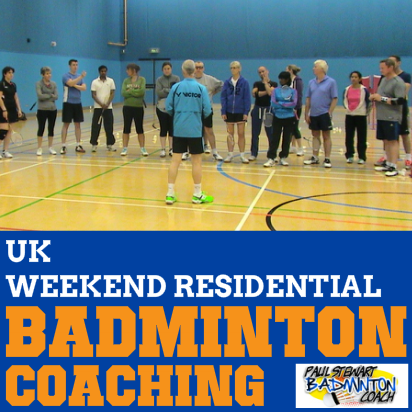 I am relatively quite short at 5′ 4″ and small built and been playing badminton for more than 20 years. All these years, I have been using head light racquet and my last racquet before changing to VT80 (4U 5G) was Wilson K(reflect) (4U 5G). I can deliver serious heavy smashes despite my small size but most of the time (90%), my smashes are flat. My weakness is my back hand return shot and I have come to accept that I can only return a back hand shot to only half length to the opponent court. (1) my smashes are even faster and it DIVES. no more flat smashes! the satisfaction you get from your opponent shocking expression outweigh the cost of the racquet. (2) I can deliver a back hand shot from my baseline to my opponent BASELINE. so, here you go. VT80 DOES improve my games by huge margin and not forgetting to thank you, Paul for such a great review about VT80. I actually wanted the VT5 at first but the nearest and only store I think here in Yokohama Japan only sells VT 70 and 80 and Z force. so, those are my only choices. I am very excited about getting a Voltric racquet! With the reviews I have read, I am really excited and I would like to see how they much they will improve my game. I think that I will not have any problems with getting used to the racquets though. Because I haven`t played in a year and haven` held a single racquet in that span of time. In any racquet I`m going to use, I need to get used to them because everything will feel new again for me. So there is no loss there I think. I have already commented elsewhere to answer your question. You really need to get serious about playing before spending a lot of money on a new racquet. Hi. I hope you reply fast. I am 15 years old. I love badminton. but I haven`t played badminton for a year. I am an offensive player. Which do you think would be better for me, Voltric 70 or 80? because that is the only voltric racquets they have besides Z force. I am an intermediate player. No professional training but I watched videos in the internet and they really helped me a lot! I have only played with a muscle power 99 since I was a child and it hasn`t been restringed ever since! It has almost been 10 years. I really just store it away and use it when I am going to play. I didn`t know any of these things before when I was a child. But now that I have read a lot in the internet, I now see that racquets should be tended with care. I am in Japan. I am going to join the badminton club next year as I enter my first year in senior high. After, I have bought the racquet, what are the things I should do? Even though I have read lots of articles on this, I still haven`t done anything! Just to be sure because these 2 racquets cost a fortune! The voltric 70 is about 105 pounds and the voltric 80 is about 120 pounds. 14000 yen and 16000 yen. much lower price huh. than the one in your review. I just asked this today from the store. I also do not know what size and weight to pick and what string and string tension! I just want to choose the right decisions because my parents are not so eager about me playing badminton. So when I get the chance, wherein they agree to buy me a racquet, I don`t want to look ignorant. They might tell that they are just wasting valuable money on a racquet of a girly sport. That is what almost everyone think of badminton in the Philippines. We came from the Philippines. Please help me. Thank you very much. 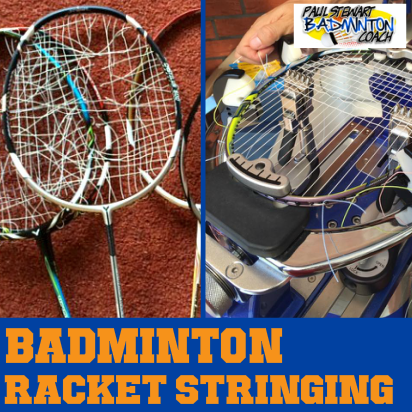 Before you spend your money, get your old racquest restrung and play with it. You’ve had a year off and really need to consider playing regularly first and finding a coach to help you improve your game. This is how to spend your money wisely and learn a lot more. Bear in mind that you are going against your parents so at least you can demonstrate that you are not being impulsive but carefully planning to improve your skills. I have already joined interschool competitions before. My one and only racquet since birth is the racquet given to me by my father. Which he used before. I have never once changed its string, etc. 🙂 I didn`t know anything. Until now I guess. I just want to tell you that my father told me that it was a Class A imitation muscle power 99. I just want to say, being here in Japan for about 7 months, I am surprised that I only know of one shop which sells Yonex racquets… What string and tension do you think is the best for Voltric 80 if you were the one who were going to use it. I know I am being overconfident but I will train my body to get accustomed to badminton without playing badminton in the time that I still am not playing regularly during high school. “Is that even possible?” But I will still try it. I have played with adults before in a local badminton club last year. I think that I blended well. Can you tell me some simple strategies and stamina tips. I usually get exhausted so fast. Because I do not eat healthy food and I sleep for about 3-7 hours a day. but averages at 5 hours a day. I have problem with chasing deep clears and clearing deep. But because I played with a class A imitation before, I do not know what will happen once I played with an original one which is in the high-end range of Yonex. What are great strategies for singles too? I plan on playing singles. There is a shop called Shuttle House which is in Japan and carries the complete Yonex range. You can also find them on the internet. For singles you need to be extremely fit and fast. So first off, work extremely hard on your fitness. Also, work at perfecting your clear because hitting a consistently good length is incredibly important. So clears and lifts from the net need a lot of work. Dominating the net is a crucial tactic to obtain the lift from your opponent. So practice your net game too. Sorry, this is another of those Voltric 70 versus Voltric 80 questions but I think it touches on a more general issue. I play at good club standard, primarily mens doubles and have always been an aggressive player with a good smash. However, the sad fact is that I’m now in my mid-40s and slowing down! It’s the usual combination of age, injury (ankles not what they were) and less time to play. So taking the example of returning a flick serve, where once I’d have stood a decent chance of smashing with near full power, now I accept that I’m going to be generating power primarily out of wrist and arm. Give me time to wind up and I can still generate plenty of power. But what about the times when you don’t hit cleanly or your feet aren’t quite where they should be? I currently play with an Arcsaber 10 (pretty battered) and prior to that used a Ti10 which I still have as back-up. Going back to the Ti10 I find it very unforgiving. Great to smash with when I get it right, but it clearly makes other shots harder. So all this is a rather round-about way of asking whether I’d be better off choosing the more flexible Voltric 70 rather than the Voltric 80 where, reading what you have written, you get a step up in power. 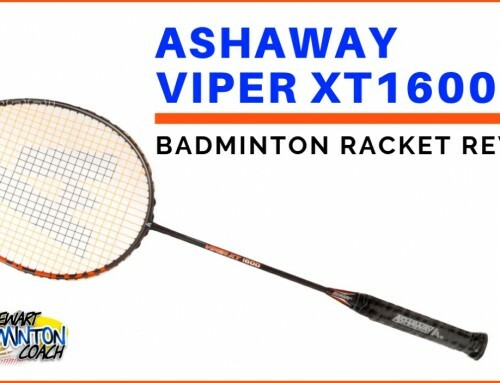 I am used to a stiff racket, so it’s less a question of adjusting, more whether stepping from the Arcsaber 10 to the Voltric 70 is going to be similar to the move from the Ti10 to the Arcsaber and whether you essentially have to be on the top of your game to get the best out of the Voltric 80, as lovely as it may be! As you mature as a player, which is the nice way of saying getting older, I’ve found that placement of the shuttle can, on many occasions, outweigh power. So, it’s still better to return the flick serve with a well placed shot than pure power. With regard to your question over changing from Arcsaber to Voltric, the honest answer is i don’t know. I am asked this question at least 3 times a day and that’s why I wrote the article on choosing a badminton racquet. No matter what style of player you are, the bottom line here is that you are the only judge once you have a racquet in your hand. So, the only course of action is to try and borrow from other players and test for yourself. I wish i had a better answer but that really is the best option. This way you’ve felt and hit with the racquets and therefore can evaluate the differences and decide whether the racquet gives you more, changes the balance of good and bad or you hate it. I think I’ve been “maturing” for the last 20 years! I’ve just found that after a couple of recent ankle injuries I’ve definitely slowed and find I’m playing more shots than usual when not ideally set. So I totally agree that smashing when off balance is a pretty poor percentage shot and that placement is a better option. So having read your reviews and after spending more time than is healthy reading opinions on badmintoncentral, I’ve plumped for a Voltric MX60 on the basis that while I don’t want more head weight, I still want a head-heavy balance. Plus I will hopefully get the step up in usability that I got when moving from the Ti10 to the Arc10 by stepping down again in terms of stiffness. I’ll happily trade off some top-end power for geater accessability. Well that’s the theory. I’ll let you know how it works in practice. Great review. I’ve been through a few of your reviews but still can not decide on what racquet to buy maybe because i’ve only been playing for about two months. What racquet would you suggest for an amateur with a budget of about £100? Unless you have a really bad racquet, it may be best to invest in coaching and get your technique in order. Please read my article on choosing a badminton racquet. It’s rare that a player at your stage will really get a huge benefit from spending £100 on a racquet. Personally I wouldn’t pay more than £50 and I’d still rather invest in coaching because developing a good hitting technique is one of the best investments you can make. Nice review. The racket I use now and absolutely enjoy using is the carbon ex 35. Do u think the vt 80 is a suitable upgrade from cab 35? The main reason I am asking in the region I live, I don’t have the facility to try out rackets. Sorry to say Carbonex 35 wasn’t launched in UK so I cannot compare – only you can do that. I used to play with the Z slash, but i just received a Voltric 80, whats the difference between those 2 raquets? Z Slash is supposed to be an even balance racquet compared to VT80 which is head heavy. Z Slash has a narrower head and for some this causes timing issuesand a lot of frame shots. Without placing these racquets side by side I can’t go into too much detail but at the end of the day, they play differently. I received Z Force yesterday and will be reviewing it this week. I aim to post my review by Friday if all goes well. I can tell you that there is no way Z Force or any other racquet will have the same feeling as a VT80. It is a stiffer frame and more head heavy. Some players have posted how tired they are at the end of a long session using Z Force. At the end of the day, it’s a completely different racquet. Well I’ve now spent 3 hours of doubles and mixed doubles play at club level. Feels much more agile to me than the head heavy VT80. Better control for me in smash returns, drop shots, drives and blocks. Maybe a little more effort for clears from back of the court to opponents baseline, but smashes felt to be around the same power. It is obvious thought that if I was able to get used to the head heavy racquet it would provide more power, but I think being comfortable with the racquet and the improvements to the other areas of my game means the VT80 will be left in the bag or sold. For anyone else looking at a VT80 as a replacement for a more even balanced stiff flex racquet then my recommendation would be to try a Nanoray 700RP. As always racquet choice is such a personal thing and what works for one doesn’t necessarily work for another. I had the opportunity to test both the Nanoray 700’s at Lilleshall and personally did not like either and questioned how light-headed they actually were. There goes that personal choice again. What will be interesting is seeing if you still retain the power in a few months when your body is used to the lighter head. Stumbled upon your site when looking for coaching tips and ways to improve my game. Recently was recommended the VT80 as a replacement for my MP99 (R.I.P.). The MP99 was even balance and stiff and I seemed to get decent power from a faster swing than I initially did with the VT80 heavier head. If I could have I’d have gotten another MP99, for doubles I just don’t find the VT80 as agile, or maybe I’m just getting slow. If you aren’t used to a head heavy racquet then this might be a tough one to adjust to. The extra weight on the head just feels a bit wrong to me. Was considering a Victor BS10 (head heavy but reviews say that it doesn’t feel like it is) or even LTY edition racket but find them hard to source so have researched, researched and researched more. Ended up ordering a Nanoray 700RP. Hopefully this gives me a more even balanced racquet that I can feel comfortable using. Certainly the VT80 is a great racquet and I think that my clears, drives and backhands gained power from it over the MP99, but it just doesn’t feel as comfortable. As I think I’ve read in your blog replies before the right racket for you is the one that feels right, with this in mind I’m still searching. Nobody says the search is easy. I would recommend using my armchair exercise videos as you may find the VT80 suddenly feels a lot lighter and more manageable. Nanoray 700 is a head light racquet so you’ve now gone to the other extreme. Potentially Arcsaber 8DX is the closest to MP99, which is an extremely rare racquet. Also Voltric 9 is possibly closer than VT80 as it doesn’t carry as much weight in the head. Bravesword 10 is a superb racquet, very quick indeed and powerful. I rated it 5 star because it was so good. I’m not sure how BS LYD Signature will play although it’s certainly been getting good reviews. Perhaps I’ll try one at some stage. Bruce, good luck with your search and I hope you will advise us which racquet you eventually settled on. Thanks for the reply. I’ll be certain and pop back with an update. If the 700RP fails to please I’ll perhaps look at selling both that and the VT80 and give the 8DX a shot. Regarding your suggestion of using the armchair exercises, I travel quite frequently and picked up a PowerBall thinking I could take it with me on my travels. Is this of any use as a portable for the exercises? I know it’s a bit off topic but your take on these gadgets would be appreciated. Thanks again for the great videos. Helped me identify my corkscrew movement in my smash (although I did start playing badminton about 25+ years ago when schools had the steel cream coloured Carlton racquets that seemed to be filled with lead, maybe weak arms and heavy racquets assisted with the development of this type of swing…). I remember those awful Carlton racquets and used to play with one myself. I’ve not used the powerball and therefore can’t say too much on the subject, but I know some players who swear by them. Perhaps a good substitute to my exercises whilst you’re away. I like mine better because most of the time you have your racquet in your hand. There are a number of similar gadgets from wrist exercisers that have been around for years, to a variation which guitarists use to strengthen their fingers. I’m glad my video helped. I’ve had some very bad press over that video and was going to re-film it. Sadly we ran out of time because we were going to use time at Lilleshall whilst we had the cameras. It seems that everyone suddenly becomes an expert and a critic when you make a video and put it out on Youtube. And some people think they have the right to simply tear it apart without offering any alternative or constructive comment. I’ve noticed a few times that the manufacturers get it wrong. I know Direct Sports test each racquet and have questioned the manufacturers description of the racquet. Generally I have found Direct Sports measurements to be spot on. I had the opportunity to test the Nanoray 700’s at Lilleshall as I lent my racquets out all weekend. I felt they were leaning towards even balance compared to say NS9900. I can’t comment on the shaft flex because feeding underarm and only occasionally hitting a shuttle is insufficient time with a racquet. The issue with this game is that comments are made based on personal references. That’s why I review based on how I feel a racquet plays rather than the nerdy stuff like balance point etc. To update you on my progress with using my VT80s, which I loved and enjoyed using, unfortunately after almost three months of use I’ve had to stop using them due to the pain in my arm from tennis elbow. At first I thought I was just getting used to the racket, but after building up the handle with my usual wraps, wearing my elbow support and lowering the string tension from 24lbs to 22lbs and finally to 20lbs, the pain not only continued, but continued to increase. Once it started to become particularly bad, constant, I reverted back to my VT5s and low and behold it’s gone. Using my elbow support, usual wraps and 22lbs tension. I can only think it’s something to do with the combination of less head heavy and medium flex shaft that places less strain on my arm. Certainly my badminton colleagues had noticed that with the VT80 I was actually starting to lose power, where as with the VT5 the power has returned and my placement, control, is much improved. A strange one, but I’m guessing I’m just not suited to the VT80 and I’m seriously enjoying the VT5 again. Plus badminton is back to being pain free and fun. As they say, the VT80 is not for everyone. Although, it’s a cracker. The VT5 is definately the racket of choice for me. I spend a lot of time questioning players buying top of the range racquets, especially when they tend to have a stiff shaft. This alone is difficult to get used to because technique has to be so good to get the most from it. Most of the time my advice is ignored. A medium flex shaft on a racquet is so much more forgiving and that’s why they tend to suit most players. As you have discovered they also tend to provide that something extra which means you do not suffer from tennis elbow. I really liked VT5 and know a number of players who chose this over the more expensive models in the range. Sometimes it’s a question of is VT80 three times the racquet because it’s three times the cost. Most of the time the answer is NO but that doesn’t stop players getting carried away and convincing themselves that only the top of the range will be good enough. 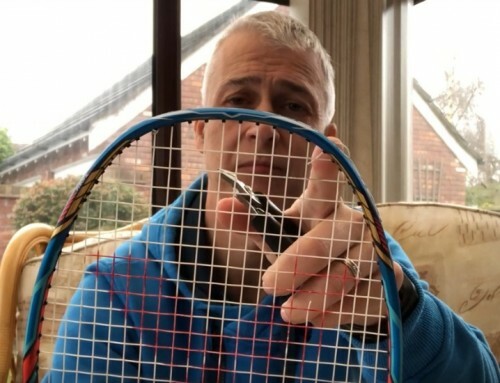 Allan, in your case the most important factors are that you have found a racquet you feel is right for you and your tennis elbow has vanished – a happy badminton player! Hello.paul.Are you done w/ the z force review?I am really looking forward to seeing your review.Also,I want to know vt80 and zforce, which one is better,because they are both head heavy rackets. z force’s head is just slightly heavier than vt80’s.I can’t decide which one I shoud pick…I tried them both and I started to love them.I am a singles player,which one can fit me the best? Thank you. I haven’t even got the racquet yet! Sadly I have to wait for my retailer to have one in for me to review. As yet, Yonex UK have not delivered it so I have to wait like everyone else. Please remember demo racquets are not provided free of charge and therefore my retailer has to pay for the racquet and then use it as a demo model. All will be revealed in time. Believe me, i can’t wait to get hold of the racquet and play with it. The big question is, will it beat my beloved VT80’s? I can’t decide between a VT70 and VT80 can you sum up your experience with the two rackets, and why you prefer the VT80? Would the VT70 be more user friendly to someone who hasn’t perfected their technique? I know your experience may not be applicable to my needs but I would appreciate it. Not everyone raves about VT80. There are a number of players on the forum who purchased VT80 and then settled with VT70 as the better racquet for them. For some the stiffer shaft of VT80 combined with the extra weight in the head is just too much. Defence is too slow, touch missing at the net and lacking power. Others will disagree completely and think the VT80 is the best of the Voltric series. I think the VT5 and VT7 are also very good indeed and yet seem to get little mention. Bear in mind you pay a lot less for these than the top of the range models. In fact you can generally buy two of these compared to one VT70 or VT80 so it’s always worth a look. Have a read of my article on choosing a racquet and then decide what’s best for you. At the end of the day, buying a racquet is high risk if you haven’t the opportunity to test properly. Let me know what you eventually choose. Hi paul:)voltric 80 and z force.which one do u think is better?and can you do a written review about the z force? I haven’t played and reviewed Z Force in order to answer your question. Hopefully, I will have a Z Force within two weeks and then test it. I don’t expect to post a review for another week, but that will depend on my commitments elsewhere. Hi Paul:)A new voltric racket just released and it’s called voltric z force.What do you think about the new racket?And which one is better compared to voltric 80? Z Force is due soon and i will write a review as soon as I can. in your opinion,vt70 and vt 80 which is better? There is no such thing as a better racquet in direct comparison as this will depend on the preferences of the individual player. So, for me I prefer VT 80 over VT70 but I know many players who would say the opposite. Judge a racquet by your likes/dislikes and not on what others think. Please read my article on choosing a racquet as it explains everything. This is a wonderful site and I like the way you do your reviews! Unfortunately I do disagree with this one! I bought a VT80, and despite it being 4U, I still found it difficult to control. My defence weakened significantly compared to when I use the AT900P. I think, of course, this is because I don’t like the extra weight of the VT80 and I find it a bit annoying. But I understand why many think this racquet is manoeuvrable and fast, especially for one so head heavy. However, I do feel that it’s not nearly as quick as the Victor BS10 and MX80 (which are what I currently use). But as you always say, to each its own! Just sharing my view of the racquet! I don’t expect everyone to agree with me as I always say that choosing a racquet is a personal choice. So, if you don’t like VT80 then that’s fine with me. Life wood be boring if we all liked the same things. I have recently tested MX80 and it was a nive racquet. However I felt it was a touch hollow compared to my VT80. Thans for the compliment on my blog though. Thanks for the reply! I didn’t mean any offence in my previous comment, so I hope you didn’t take any; if so, then I apologise. Certainly I agree with you – it would be boring for everyone to like the same racquet! And I agree that the MX80 is “a touch hollow”, too. But at the end of the day, they’re both really good racquets. No offence taken. Your opinion was valid and I welcome constructive comments which your was. As you say, both racquets are great and that’s where personal opinion matters most. That’s why I’m an advocate of try before you buy. Well, finally took the plunge and purchased the Voltric 80 Ltd Edition, strung with BG65Ti at 25lbs, only bought the Ltd Edition so that myself and my close friend do not look like a matched pair on court. In saying that the colour scheme is not unattractive. Having worked my way along rackets by Head and Carlton, finally settled on Yonex, I just love the ‘feel’ of Yonex rackets. I’ve used the Arcsaber 008, preferred the heavier head on the Armortec 50 and moved to the Voltric 5, which I have to say is a lovely racket, your reviews are ‘spot on’ regarding the Armortec 50 and Voltric 5. After ‘borrowing’ by friends Voltric 80 for a few games, I decided it was time to take the plunge and purchase my own, especially as I found myself wanting to borrow it more and more, although never asking too often. As I’m now using my own VT80 all the time, all I can say is WOW, it really is something special. My game is improving beyond my wildest dreams and, interestingly, I’ve found a new level of confidence when using the VT80, a factor that could probably be a discussion thread all of it’s own. How much do I like it, well, I’m now in the process of ordering a second one, that way I’ll always have a beloved VT80 to hand. That’s a big one as, like many people, I have to save in order to purchase more expensive items. I’m not usually someone who splashes out on ‘high end’ kit as I firmly believe that technique plays a huge part, give Lee Chong Wei a £5.00 Woolworths racket and he would probably still ‘skelp’ me all over the court. I learned this during 40+ years of fly fishing, I’ve seen this on more than one occasion, where, people purchase very expensive fly rods, £600+, but they do not cast better, nor do they catch more fish, those bits are down to technique and knowledge. Still, they do get pleasure from owning good equipment and their technique etc improves over time. However, all I would say is, if you like head heavy rackets, then the VT80 really is as good as they say it is. Certainly it won’t suit everyone, I find it a dream for all aspects of the game. Yet again Paul, your review of VT80 is ‘spot on’. Jezzzzz, I love this game and glad I came back to it. Glad you’re enjoying VT80 as much as I am. I’m trying to find a replacement for the Armortec Tour hence would like to know if you’ve tested out the Voltric 60 or 70 & what are they like in comparison to the Armortec Tour? I know each player is different & one can go by specs however what do you & others think? If I remember correctly, the AT Tour was basically a repainted AT600. Voltric 60 or 70 are close. On paper the 60 is the closest but having played with it and I have to question that. In some ways Voltric 7 should also be in the running. You can find a review of Voltric 70 on my blog. Let me know which racquet you choose to replace your AT Tour. AT Tour was slightly different paint job & if I remember it was 82g (4U) compared to AT600 (which I think was 3U) I think the other difference was AT Tour max string tension was 24Ilbs & AT600 was 25Ibs. Note: I could be wrong as I also played with an AT500 which I know you can string to 25Ilbs. I find the AT Tour to be a solid feeling, racket with a very composed (if not perfect) Heavy Head balance. RE: Voltric 60 – Yes agree on paper they look comparable however when testing the VT60 against my AT Tour, I found the overall racket to be slightly thicker than the AT Tour. The ‘Heavy Head’ balance in the VT60 was kind of ‘Lightish’ unlike the AT Tour or VT80 (which is perhaps abit too much ‘Heavy Head’ however VT80 is a 3U racket with a Stiff Flex). I haven’t tried the VT70 or VT7 so couldn’t compare. The downside was that I didn’t find the power generation a big whoppie. I was disappointed as my AT Tour ‘packs more punch’ however the AT60 was factory strung with standard grip size so in fairness an unfair comment. Only when I have ‘like for like’ strings, tension, grip can I then offer a fair verdict. For me Voltric 80 is considerably better than AT900P, Z Slash and Nano9900. It’s all of those combined into one and taking the standard up another level. Hi Paul, reading your review on the Voltric 80 I’m very tempted to buy one :). Im not sure if I will adapt to it immediately, but I think ill do quite well, since the best racket I’ve ever played with was a $30 Yonex Muscle Power 7, which really blows. In your opinion, how durable is the Voltric 80? or the BG 70 – Pro? I really dont do constant re-stringing, though the racket I use now is borrowed from my friend, and its strung with BG 65 at 24lb tension, which seems to work just fine for me. You are looking at a completely different racquet. MP7 was a flexible shafted racquet and therefore you may find the transition too much. That said, we’re all different. With regard to stringing, begin with the tension and string you’re used to and test later. Is that a new voltric or just a different colour scheme for the 80?? would be interested to know as i spent a good few hours with the voltric 80 last week and it has forced me to buy one(was going to get it this weekend) but would hold off to try the “red head” if it is a different racket(please call it that yonex). By the way i disagree with you to a certain extent about rackets being a personal choice specifically when talking about the voltric 80. The reason being IF you like a head heavy racket(which vt80 is) it has solved the age old problem of bad maneuverability, Hence if you like a head heavy racket you WILL love this racket, best of both worlds. This racket is truly revolutionary. I should say that my arc 10 is even balanced and still the vt 80 is FAR more manouverable for quick defense, driving smashes back etc. This racket should probably be banned. I should say to all people that come across this comment that i am 30 have no affiliation to yonex used many rackets from many brands and have never before been fanatical about “the new yonex” or any racket. But, “if you like a head heavy racquet…” – isn’t that personal choice? Yes, the red is VT80 Ltd edition. I should have mine next week with luck. i don’t expect it will be anything but a different colour job. The racquet was introduced to commemorate 30 years of Japan Open. It is not a supercharges version of VT80 – I don’t think there could be such a thing…yet! My reader knows that I am sponsored by Yonex, however they do not control what I write or any part of my blog. Hence, if I don’t like a racquet I will tell you and there are plenty of readers who know that to be true. It’s always good to get feeback so many thanks for that and keep it up. I have said so many times on this blog that racquet choice is personal. At the end of the day we all differ in style, technique, badminton experiences, physique, muscular structure and how we feel a racquet. Consequently, VT80 will not suit every player and that’s perfectly fine. I am going to get a VT80 from UK. what would be the recommended string and the string tension for getting more power and control from VT80. This is a tough question to answer. What you need to do is test string tension to find your ultimate combination. Nobody can advise you about this, it’s something you have to discover for yourself. Please be aware that if you exceed the manufacturers recommended tension, then you invalidate your warranty. However, many players do this because they wish to play with higher tensions. If you are buying in UK from an online retailer use Direct Sports. They may not be the cheapest, but they will do more for you if something goes wrong and they have an amazing service. Thanks a lot Mr.Paul.I am getting it thru my collegue,he is from UK. My brother has ordered a Voltric 80 so for once I could test it before deciding. I’ll let you know what comes out of it. Just a few more weeks before the season starts again. Man do I hate summer-stops…. I am currently using arcsaber 10 with great pleasure. Comparing shaft stiffness, is the voltric 80 stiffer? Or would you say, if you like arc 10, I would have no trouble with the voltric? I have used head-heavy rackets in the past (armortec 800 def) but switchted to even balance racket because of better manouvarability especially at the net and defense-wise. Even though I really like my arc 10, sometimes I wish for a bit more power. I may look into the voltric 80 for singles and keep using the arc 10 for doubles/mix. Peter Gade was instrumental in the design of Arcsaber 10. For years it was his racquet. Then Voltric 80 arrived. Look what he’s using now – yes, Voltric 80. He wouldn’t have changed racquet unless he felt Voltric 80 gave him something extra. Voltric 80 is not like the older head heavy racquets. It is certainly a lot more manoeuvrable and generates more power. There are a lot of players using Voltric 80 in doubles too, so it may be that you’ll find it’s great as an all round racquet. Let me know what you decide and good luck. I was wondering if you could tell me for what kind of players voltric 80 is suiteble for. Also the differensive of the voltric 70 and voltric 80. VT80 will suit any kind of player who likes the feel of it – it’s as simple as that. Nobody can tell you whether a racquet is right for you – except you. At the end of the day, you decide whether it enhances your game and “feels” right for you. VT80 is a stiffer version of VT70. It has a slimmer shaft and the head is heavier and more refined – without the bulbous areas at 10 and two o’clock positions. My NS500 had RIP. Clashes twice :(. And I’m using modified AT250, AT700 and Arc10. All of them 3U and strung with NBG98, tension 24/26 lbs (calibrated). I played worst with Arc10, lack of power, terrible defense, almost can’t return smashes. I played best with a modified AT250 (modified, cause I’ve put a 1,5gr lead tape on the top of the frame, so the Balance Point is at 310mm). Power is good, even backhand clear is almost base to base. And surprisingly, my defense also is great, 90% smashes are returned. So I want to ask for your suggestion, do you think VT80 might gonna suit me ? Or I should switch to ArcZ instead ? I never try AT900P, and I think I won’t buy that racquet, since maybe voltric series are better. Almost all of my friends who used AT900P switch to VT80, and they said “it’s an incresible racquet”, but since they are not at the same city with me, I can’t try VT80. Actually, I also considering to buy another AT250 as a spare, while I still can find it at sore. I receive questions like yours every day. The truth of the matter is that nobody can say whether a racquet will suit you or not. Only you can be the judge You see nobody else has your technique, style, experience, physique or muscular structure. The indications are that you will like the VT80 because it fits with your current range. I feel VT80 is the best racquet Yonex have ever made although that’s my personal opinion based on my experience, style, technique etc. From what you’re saying, it would make sense to consider a spare AT250 which is considerably cheaper than VT80. At the end of the day the choice is yours. No doubt if you don’t like VT80 you can easily sell it so you are risking very little. I’ve bought a VT80 3U G5 now, since my AT700 is RIP, while I’m still looking for another AT250 as a spare. I strung the VT80 with BG66 Sharp in 26/28 lbs (calibrated), and played in 2 double games and 1 single game. I have to admit that this VT80 is really powerful, I use less power then AT250 to do base-to-base clear. Manuver, defense, fast drive, backhand clear/smash are really easy too. No vibration too. Just a little timing adjustment coz VT80 swings faster than AT250, and AT700. And I totally agree with you when you said that VT80 is the “best” yonex racquet for now. Thanks Paul. This review really served me well. I bought 2 VT80 after reading your review and just after the All England. I tried to use them first in a tournament but didn’t help me very much. Coz, the head is really heavy though I’m used to with head heavy rackets as I’m an offensive player. It gave me some wrist pain initially. I needed few days practice to get used to with it’s heavier head and now it’s just an extension of my hand. And smashes are cracking, placements are accurate and defense are way better than my previous head heavy rackets. For me this is the best! *For new buyers- it will take some time to get used to with its heavier head unless you are used to with AT700. But it will help you to RULE!!! Many thanks for your comments. Glad to see you like the VT80 as much as I do. I just wanna seek your personal opinion regarding which racket is better since you have played with Voltric 70 and Voltric 80 before. The only difference that i know is that Voltric 80 is more stiff and more head heavy as compared to Voltric 70. But may I know, how do you generally and personally feel about the two racquets since you have used both the racquets before? What’s your views and all? There is no such thing as the best racquet in the world when looking at the whole racquet market. Realistically, the best racquet is the one that you feel helps you play your game best. Nobody can tell you or advise you which racquet this will be. The reason for this is that we do not have your style, technique, badminton experiences, physique or muscular structure. Therefore you will feel a racquet different to me and everyone else. Whilst I prefer VT80 over VT70, I know many players who will tell you VT70 is best. The only way to know is to test for yourself and you be the judge. 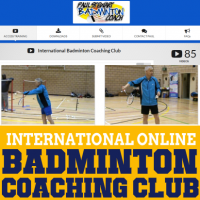 I posted this at Badmintoncentral.com and figures i should post this here as well. —“Here’s a story about me and the Voltric 80. I’m a low intermediate-level player and have pretty much never bought or use a high-end racquet before and have always played with cheap but genuine ones (2 so far). By the way, both my previous racquet was 4U Headlight Carltons stringed at 21lbs with THICK grips. Was looking to upgrade just to get the latest racquet (my old ones are still fine) since i havent bought one for 4 years (stop playing for 3 years actually and just stated playing again 1/2 year ago). So here i was scouring the internet and forums for my 1st and next new high-end racquet with no idea about all the features like Balance point..repulsion..3U..4U..grip size..tensions or whatever those features and new technology supposable effect on my game (I learned most of those from this forum and Paul’s website : ) ) and finally bought the Voltric 80 based on its raved reviews. My V80 was stringed with BG66u at 25lbs (i know!..4 lbs too high) and is a 3U with thin grip. My first impression? A total mess..i hate it! But i kept using it thinking that i need to adapt and using a heavy racquet and high tension will strenghthen me further. However, after 4 sessions (roughly 3hrs session 4 days a week), i revert back to my Carlton (played better with it) and almost sold the V80. The power (smash and clear) is there and are effortless went excecuted perfectly compared to my old racquets, but they are very inconsistent as i kept hitting the frame and miss the sweetspot alot!. Not to mention how fast and easily tired i was when using it although i never felt the soreness in the arms which i expected due to 4lbs higher tension and headheavy racquet. Not to forget, my smash defence was horrid. The net play was great from the start though. I decided to give it 1 last try on the 5th session and boy was i glad. My clears were all the way to the backcourt even when pressured..my smash was smashing ..my net and dropshot was as great as the 1st time i used it….the control i get from using the thin grip..and my smash defence is back to normal (sometimes better)..and best of all..i was able to do this consistently for 5 straight games..this racquet’s GREAT!! !..far better than my Carlton..i loved it..11 sessions in..and i still love it.. Initially you made it very hard for yourself to get used to the racquet because you’d increased the string tension by too high a margin. So in addition to getting used to a new racquet you also had the added burden of a huge tension variation. Thankfully, you persevered and are now seeing the reward for this. Well done and many thanks for your story. Thank for the informative review. Could you please specify some more about about why do you feel 3U VT80 is much better than 3U AT900? I am in a dilemma of selecting either 3U AT900P (LCW) or VT80. If I know some more specifics about that differences (what I can do more with VT80 or what cannot go wrong with VT80; it will help me to decide if I should spend 30% more money for VT80. My skill level is little better intermediate now. Your videos in you tube help me a lot to improve my skills. VT80 outshines AT900P in so many ways. 3) Defence – VT80 is so much faster than AT900P in defence because of the above features. Hope this helps. I can fully understand your dilemma. There is a price difference which is hard to ignore. I would say that VT80 has made a lot of friends very quickly and has certainly suited a lots of players, moreso than Z Slash. It’s not for everyone and some have found they prefer VT70 with the more flexible shaft. It takes a special racquet to prize Lee Chong Wei from his beloved AT900P and Peter Gade from Arc 10. Both are now using VT80. Without doubt AT900P will be withdrawn by Yonex within a year so there are going to be great deals on AT900P. It’s up to you to weigh up the pros and cons and decide for yourself whether you buy VT80 or AT900P. Let me know which you choose. Have you played with any of the lethal series of APACS rackets? I would like to see how you feel this compares with them. The lethal 70/90 are the ones usually compared with the high end yonex rackets and I just want to know your opinion. I haven’t tried any APACS racquets so I can’t compare for you. Got the VT80 about a month ago and damn it feels great!! But after getting the hang of the Z-Slash i do feel that the smash power of the VT80 is not as high as Z-Slash although it’s good,but that’s my personal feeling i guess…. The difficulty with reviewing smash power between different racquets is that it’s still subjective. Some players can generate more power with a light headed racquet than head heavy. So at best, it would be my review based on my likes/dislikes yet again. So how does this help anyone? This needs a little more thought. I just tested this racket yesterday at my gym. All I say is WOW! it feels really nice. The drives were fast clear were effortless and to the back. Smashes were faster and nicer then my previous smashes I’ve done. But sadly I couldn’t generate more power from it because I borrowed it from a friend and he had his racket tension at 26LBS. But overall I really like it. I think I’m going to get a VT80 3U or 4U depending which the shop provides. In continuation to my previous blog post.. I used a thicker grip for my V80 and the raquet felt immediately comfortable. All my shots, backhand and forehand were coming together well. I am now begining to really like this raquet. I really like your writing style and the quality of review posted here. I have got the V80 after reading your review. I must say that I am NOT in love with this one. My smashes have improved greatly, all my forehand and overhead winners are just superb. Net game is spot on. It is my over backhand which seems have suffered which is the reason for my NOT in love factor. I generally hold the raquet far away from the cone but with V80, I am moving a little higher or towards the cone. I seem to have stuck the right cord just yesterday but it is a little early to comment as I want to give it some more game time with this raquet and see if I get my magical overhead backhand shots back. Are there any plans for Yonex to make the next GEN A900T? You’re the first player I’ve met who doesn’t love their new VT80. But, that’s why I stress racquet choice is personal. VT80 is very different to AT900T. The shaft is longer and thinner and the weight is at the top of the head rather than the throat of the racquet, which brings about a completely different feel when you swing the racquet. At the moment I do not know what will replace AT900T. i don’t think Voltric racquets will however it’s early days yet. Sorry I can’t help further right now. I currently use a Z-slash, and I feel like I have tamed this racket. However, I still hit the frame of the racket, and I want to get a Voltric 80. Do you think I’ll adapt to this racket even though the sweet spot is shifted up a little? It should be easy to play with a Voltric 80 if you’ve mastered Z Slash. So a few months ago I asked whether or not i should switch to the VT-70 instead of the Z-slash and i was going to make that decision (but held back because the store ran out). And lucky for me because the VT-80 is such a better racket in every way. In any case i got the VT-80 and i totally agree with you. My smashes, which trained 15 year olds could get easily, are now actually potent and i can kill lifts at mid court with ease. Defense isn’t that much of an issue either as you said and i can lift smashes quite easily, just like the Nanospeed. However, Im finding the racket to be harder to control for drives and pushes and i was wondering if you also had this problem. Due to the head-heavyness of the racket, i feel that the racket is slugging its way towards the bird during faster paced drives and i find myself hitting shuttles way far behind where i would normally hit them. Pushes also tend to go too wide (resulting to me losing even to horrible serves), which has never happened to me for at least a year. So i was wondering if it is normal to experience such with a head heavy (as some of my friends who switched from the Nanospeed 9900 to AT-900P had none of the problems i have). You statement of the VT-80 being the holy grail of rackets is certainly not an overstatement. I felt like Galahad must have felt after playing with this racket. What can I say? Another convert to VT80. When I wrote my review of VT70 it wasn’t clear when the next racquet in Voltric range would be released. I knew Lee Chong Wei was testing another Voltric but didn’t know any more than that. Glad you like VT80 as much as I do. First off thanks for your review, they have all been very informative. I have been playing for the past 10 years with an older racket (SwingPower 500 Long sx) but I think its time to move on. I plan on getting the VT80 and want to know how it compares to the SP. I think the old iso swingpower is a lower tier model even in its time, so its ok if you haven’t had too much experience with it, so please don’t feel obliged to comment as I have already gained a lot of info from your reviews. I play predominantly doubles, intermediate level. play about 6 hours a week, and my arm doesn’t feel anymore tired than other parts of my body. One last thing, what are the differences between the SP, TW, JP, US versions besides price? Thanks for your comments. I can’t comment on Swingpower racquet – I don’t know anything about it. I do know the quality of VT 80 but it won’t suit every player. If you like some weight in your racquet, then you may like VT80. The SP, TW, JP, US codes are country codes. There seems to be a belief that JP versions are the best. At the end of the day, you need to country code to match your country (if there is one). The reason for this is that if you buy from a retailer outside your country and break the racquet, you cannot get a replacement under warranty. So, if you played with a SP version in UK, Yonex UK would not replace your broken racquet because it was not purchased in this country. Good look with VT80. I hope you love it as much as I do. Thanks for your last info. As I am now reverting back to my NS9900 from the Z slash and am thinking of buying the VT80, What are the main differences between the NS9900 and the VT80. I mean I love the light feel of the NS9900 but even being strung at 24lbs I still find it lacking in power!! Also great review on the VT80. Can’t wait for the video. NS9900 is light headed stiff racquet. VT80 is heavy headed stiff racquet with a longer shaft, aero-dynamic frame similar to NS9900. I’ve know many players pick up NS9900 and think it’s great, only to find over time that their smashes are disappeared – I was one of those players. REverting back to a heavy headed racquet corrected that immediately for me. Both racquets are fast but NS9900 is a little quicker in defence and around the net. Out of the two, I’d choose VT80. Good question. You’ll find NS9900 slightly faster than VT80, but VT80 packs a lot more power. You may also find that VT80 strung at 24lbs is a lot more powerful than NS9900. You’ll need to do some armchair exercises to get the most speed out of VT80 in defence but it does defend very well and plays great at the net. The heavier head means you do have a lot fo control and it forces you to play the shot correctly to control the head. This will depend on your preference. In UK we don’t have any choice, we are given one grip size and one weight. Because of this I do not have the ability to test both versions. If you prefer 4U, then go with your preference. I like the 3UG4 spec on the Armortec Series. I used to use AT900P which were imported from Asia as 3UG4 wasn’t available in UK. When Yonex released AT900P – Lee Chong Wei Edition in UK last year with 3UG4 spec I was over the moon and bought myself a pair of those. 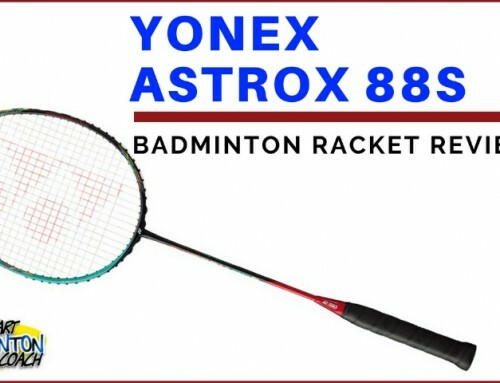 Now after reading your review of Voltric 80, I’m a bit upset because if I’ve known Yonex would release this racquet which is literally replacing AT900P and few others I would have bought a pair of these instead. I’m really tempted to give this racquet a try since your review is so inspiring. I just bought a 4u(recomended stringing is 19-26 lbs) Voltric 80, I strung it with Bg-65 at 24 lbs, what I am wondering is if i happen to mishit if it is strung at 24 lbs is there a risk of cracking the frame? It’s very unlikely that you will crack the frame by mishitting the shuttle. Usually a crack is caused by a collision or excessive tension, beyond the recommended limits set by Yonex. Recently I’m looking between the Yonex VT80 and the Victor MX80. Would you test the Victor MX80 and compare it to Yonex VT80? MX80 is not available in UK. I’m not sure whether it will available in Europe so unfortunately won’t be able to review or compare. Love the racket! Just got the Voltric 80 couple of days ago and enjoy it very much! Got to agree with Paul. It feels like Armortec 900p but defends like NS 9900. Just perfect. It produces very powerful and consistent smashes, maybe a tad weaker compared to arcsaber slash z which I loved but eventually sold since I couldn’t tame it after six months of using it. I see you’ve also suffered from the curse of the Z Slash. Sadly I don’t know of anyone who’d be interested. You could try ebay or ask as many badminton players you know. Maybe someone will give it a go and like it. VT80 is a very different racquet to Z Slash, although it shares similar properties. I’ve never had any timing issues with VT80. I managed to hit for a while last night after it was strung to 23 lbs. It played even better than when I first reviewed it. It’s not a light-headed racquet like your NS9900, although in my opinion, it’s more powerful. You probably know by now that I don’t recommend racquets to players in general because we’re all different, have different tastes, techniques, body structure and muscle structure. So what works for one won’t necessarily work for another. Only you can decide if it’s right for you. Let me know if you buy one though! Ur quote “This racquet is so good, and the most exceptional racquet I’ve ever played with, I’m going to give it a full 5 star rating.” is really make me most pleasure. I had bought this VT80 in Malaysia at discounted price upon launching. This VT80 give me feels so good as well. I would like to try bravesword10 for my personal comparison between these two superb rackets as u said. Great review as always! I know you have also rated Arcsaber 8 DX very highly before as well. How do you compare the Voltric 80 with the Arcsaber 8 DX? VT80 is a lot more powerful. It’s great to know where the racquet head is at all times. It’s still fast, although maybe a touch slower than 8DX. VT80 delivers better in terms of tighter drops, harder smash, more meat behind my lifts from defence. I didn’t realise how much I’d missed a heavy headed racquet until I tested VT80. Hey Paul, congrats on getting the VT80, you seem excited (understatement?) lol. How about throwing a VT70 in there for your video? Would be kind of neat to see any differences with in the Voltric line. Many thanks Marc. The sad part is I had to give the racquet back yesterday as it belongs to a retailer. I only borrow them to review. The shop has to buy these racquets and then uses them as demo racquets. So, no freebies I’m afraid! Nice review. I think the only negative point is the price of this racket. Are you going to do a video review of this one? I’d love to do a video review of this racquet and possibly compare it to Arcsaber Z Slash and Armortec 900P. At the moment I don’t have the time to spend on court filming. Once my next residential weekend is over I’ll consider what comes next in terms of video. I do want to film a lot more but it’s extremely time consuming.